The Hall of Fame is a place where students that have gone above and be on with the ideals of FIRST and STEM-related activites may be recognized. "FIRST is absolutely the hardest fun you'll ever have, but it so much more than just that. It's a home, a place where every student can discover where they belong and find what they're passionate about. I never thought I could love a single group of individuals as much as I love my team, and I never thought I would become so passionate about robots, but here I am. They say FIRST is more than just robots, I say it's home." 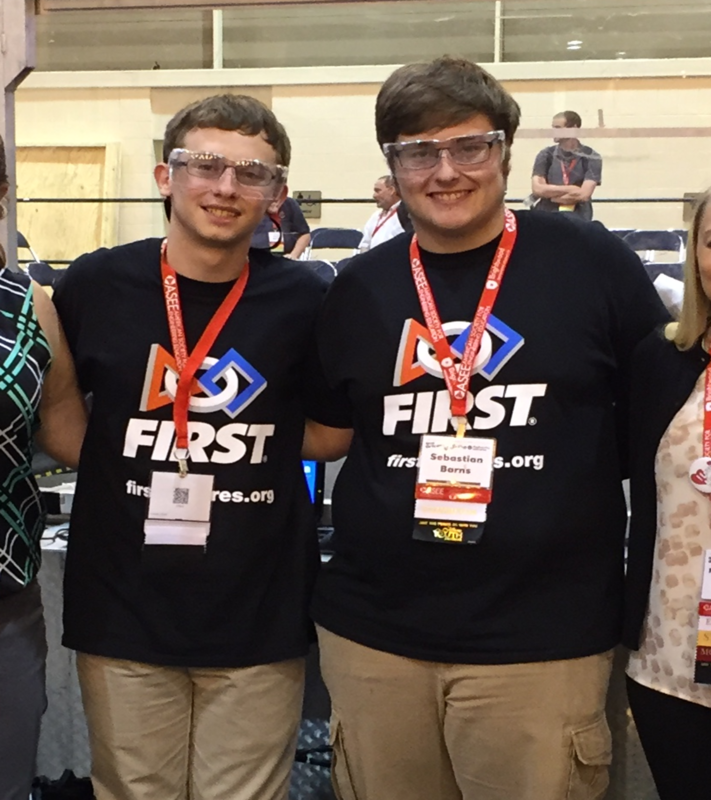 FIRST Robotics is a program developed to let students work alongside industry professionals to develop Science, Technology, Engineering, and Mathematics (STEM) skills. It allows students to challenge their leadership and life skills in an environment that follows the idea of gracious professionalism. Gracious professionalism is a term coined by FIRST which means to act professionally while helping your fellow team members or another team, and that in the end, it is about the learning experience and not winning. In addition to this, students are given a six-week period to build a robot for a new, exciting competition each year. During this season, the students go through the engineering process from brainstorming to completion. On the contrary, this program is not just about building and coding the robot, there is a whole media and outreach side of a FIRST team. On this side of the team, students learn how to contact business so they may sponsor their team, and handle public relations. In addition to this, students record the robot's progress throughout the build season and public events the team may do through photos, videos, and writing. Team Storm 4107 is the only FRC team in the Harrison County district of Mississippi which stresses the FIRST idea of gracious professionalism while always challenging our members to put a hundred percent into their robotics and school work. The team's hierarchy is broken down into cells which consist of a leadership of two co-captains, which deal with relaying information about events or activities that deal with the team, and four cell leaders, which delegate responsibilities to each member within their respective cells. These cells are known as mechanical, electrical, programming, and media.